Dr. Brenda Elsey studies the history of popular culture and politics in twentieth century Latin America, in addition to gender, social theory, sports and Pan-Americanism. She co-edited the 2017 volume "Football and the Boundaries of History" and is the author of the forthcoming "Futbolera: Women and Sport in Latin America." 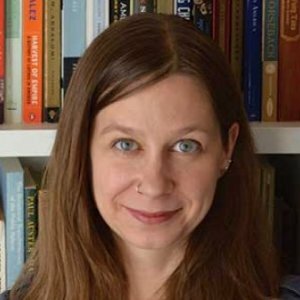 She is a senior editor for Oxford University Press’ Research Essays in Latin American History: Southern Cone and recently edited a Radical History Review issue at Duke University Press, entitled “Historicizing the Politics and Pleasure of Sport” with Peter Alegi and Amy Chazkel. She is currently working on a monograph Futbolera: Women, Gender, and Sexuality in Latin American Sport. Elsey’s previous publications include a monograph, Citizens and Sportsmen: Fútbol and Politics in Twentieth Century Chile (University of Texas, 2011), and various articles, including, "Breaking the Machine: The Politics of South American Football," in Global Latin America (University of California Press, 2016), "Bad Ambassadors: A History of the Pan-American Games of the 1950s," International Journal of Sport History, forthcoming, “As the World is My Witness:’ Popular Culture and the Chilean Solidarity Movement, 1974-1987,” in Topographies of Transnationalism (University of Wisconsin Press, 2013) She has several articles forthcoming, including “Sport, Gender, and Politics in Latin America,” in Oxford University’s Sport in History(2014),and “Football at the “end” of the World: the 1962 World Cup in Chile,” in Kay Schiller and Stefan Rinke’s Histories of the World Cup (Göttingen, Wallstein, 2014). In 2012 Elsey won the Stessin Prize for best faculty publication at Hofstra University. She has been the co-director of the Latin American and Caribbean Studies program at Hofstra since 2008 and directed the Women’s Studies program from 2009 to 2013. She is currently on the chairperson of the Advisory Board for Hofstra’s Center for Civic Engagement. She has written on sport and social justice for popular publications including The New Republic, The Allrounder, and Sport's Illustrated. She tweets, occasionally, but sincerely @politicultura. Dr. Elsey was awarded a Fulbright in the spring of 2017 for her research on the history of gender, sexuality, and sport in Latin America. She will continue her studies In Argentina where she will focus on the history of women’s soccer, from the 1930s until present. Professor Elsey will teach a course at the National University of La Plata (UNLP) on the social history of sport in the Americas and work with history, journalism, and physical education students. 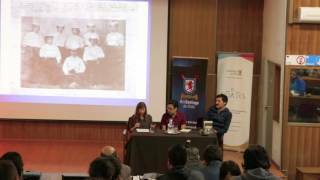 Dr. Brenda Elsey, associate professor of history, was interviewed by De Cabeza sports magazine for her research on soccer, gender, and politics and her book, Citizens and Sportsmen: Football and Politics in Twentieth Century Chile (2011). 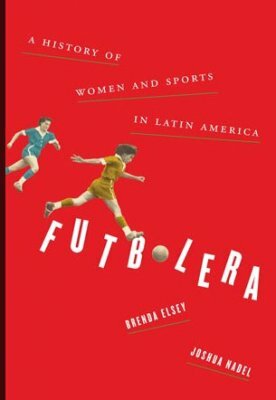 Associate Professor of History Brenda Elsey was interviewed by The Nation for an article and podcast, “How a Feminist Uprising Is Saving South American Soccer.” She discusses how women soccer players in Brazil, Chile, and Argentina have used collective organizing to reclaim their soccer federations from near oblivion. Professor Elsey, who is also co-director for Latin American and Caribbean Studies, is currently in Argentina on a Fulbright grant where her research is focusing on the history of women’s soccer, from the 1930s until present. She is teaching a course at the National University of La Plata (UNLP) on the social history of sport in the Americas and work with history, journalism, and physical education students. Following shabby treatment by national federations, determination and solidarity among the players in Brazil, Chile and Argentina are rescuing women’s football from oblivion. The Brazilian ban on women’s soccer, implemented in 1941 and lifted completely in 1981, represents one of the few examples of official prohibition of women’s sport in the twentieth century. Today, Brazilian journalists and soccer fans do not place importance on the legal prohibition of women’s soccer, assuming that it affected very few women or attracted little notice. However, recent research suggests that the ban was a reaction to the rapid diffusion of women’s soccer in the 1930s. This presentation explores the long-term significance of the ban on gender relations and women’s lives. It also examines the role of racial and class hierarchies in shaping women’s opportunities in Brazilian sport during the mid-twentieth century. This paper examines the history of the early Pan-American Games, held in Buenos Aires, Mexico City, and Chicago. The history of the Pan-American Games demonstrates the decline of goodwill between the US and Latin American sports organizations, audiences, and journalists during the Cold War. Despite the diplomatic failures of the Pan-American Games from a US-centred perspective, they are vital to understand the history of women’s participation in sport and solidarity among Latin American delegations. In the 1950s, amateur sports clubs in Santiago, Chile created a magnetic icon of the popular barrio or neighborhood football player. This figure became a charismatic symbol of working-class ingenuity and class injustice. It represented an alternative construction of masculinity based on one's physical labor, creativity, and political militancy. Popular neighborhood clubs integrated working-class men into urban politics, connected them to parties, and served as sites of political critique. This article argues that barrio football clubs contributed to radicalization in working-class neighborhoods, key to the growth of leftist parties on a national level. It begins with an analysis of San Miguel, a center of barrio football, and then moves to examine the relationship between amateur and professional clubs. Professionals, led by corporate executives with strong connections to the state, sought to de-politicize and de-localize football to create a profitable business. Shaped by Cold War rhetoric, battle lines had been drawn between those who embraced professionalism as part of economic modernization and progress and the amateur footballers who criticized its materialism and corruption. Moreover, practices surrounding women's participation, use of state resources, and the proper place of political expression created lasting divisions.